IdealWave was founded in 2001 with the goal of becoming the most trusted and experienced retained executive search firm to high-growth companies with a focus on mobile and emerging technology solutions. IdealWave’s executive search practice leverages our domain expertise, research, and strategic contacts in conjunction with close client collaboration throughout the search process to execute thorough, comprehensive, and successful engagements. Our search methodology utilizes our primary market research, substantial strategic market insights, an in-depth knowledge of the top executives in the industry that has been developed over the past 15 years, and an ability to ask the right questions. IdealWave is a proud member of the Association of Executive Search Consultants; the worldwide professional association for the retained executive search and leadership consulting industry. IdealWave utilizes a consistent and focused process that deliver effective results quickly for our clients while also keeping them continually updated throughout the search. Needs: A substantial client requirements analysis and business needs review is performed. Strategy: The creation of a search strategy designed for each individual engagement which is focused on industry insights, functional expertise, and a converging industry ecosystem. Outreach: Specific and targeted executive outreach based on an ongoing 11+ year program of exhaustive executive level talent sourcing and confidential relationship building around the convergence of mobile, digital media, and consumer electronics. Due Diligence and Reporting: Thorough evaluation of executive talent to assess the best functional cultural and industry fit for our client’s needs. IdealWave’s industry expertise enables deeper analysis and better informed assessments. Our clients are kept continually informed on the search through a search portal that is available to our clients 24 hours a day. Selection: The analysis of an executive’s fit for the role is performed considering both the short-term and long-term strengths and weaknesses of every executive. Decision: The interview, analysis, reference checking, and selection of finalists is done with all involved parties to move towards a collaborative and uniform decision on the most appropriate executive for our client’s needs. Mark Newhall is an expert on the mobile & digital media industries and executive recruitment with 21+ years of experience in the recruiting field. He is the Co-Founder and Managing Director of IdealWave Solutions, a global executive search firm that focuses exclusively on the mobile and digital media industries. Mark provides high-level executive recruitment, business development, and strategic consulting services. Mark co-founded the firm in 2001 and it has since grown to become one of the area’s top executive search firms. 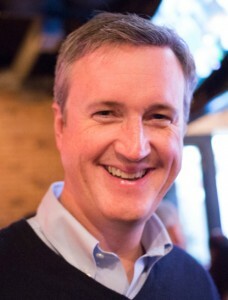 Mark is also the Co-Founder of INmobile.org, a private, invitation-only, global on-line community for senior executives in the wireless industry and related sectors. The community has been featured in the Wall Street Journal, the Financial Times, Entrepreneur Magazine and Business Week. Additionally, Mark was a Board Advisor and expert consultant to Peekaboo Mobile, an innovative provider of mobile coupons and deals for local businesses prior to its successful sale to nSphere in early 2011. Mark is currently an Advisor to Payfone, an innovative mobile payments provider, and Byte Ventures, the creator of Prize Per Day, which is a top way to earn prizes from your mobile phone. Mark is also an Angel Investor in Qwalify (HR technology solutions), Libboo (a next generation publishing platform), and 1Mind (currently in stealth mode). He is also a mentor at the Women Innovate Mobile (WIM) Accelerator in New York and a Curator of the recent TEDxBeaconStreet event in the Boston area. Prior to founding his own firm, Mark was a consultant to Charles River Ventures, a tier-one venture capital firm, and a Senior Recruiter for ITCS, a technology focused staff augmentation company. Mark holds a degree in Business Administration from the Whittemore School of Business and Economics at the University of New Hampshire.